Whether you match yours with tights or leggings, this Clergy Tunic is a ready-to-go outfit! If you’re 5ft 5″ or under this could even double up as a Knee Length dress. Great news… These buttons won’t gape due to the loose, waterfall, pleated detail in the back. I was at a Conference and after prayer I opened my eyes I saw 4 pleats in the back of a lady’s Blouse and this Shirt/Tunic/Dress idea came to me. I sketched it out, went though our product development process and here it is. This is going to be just right for someone… I just know it. 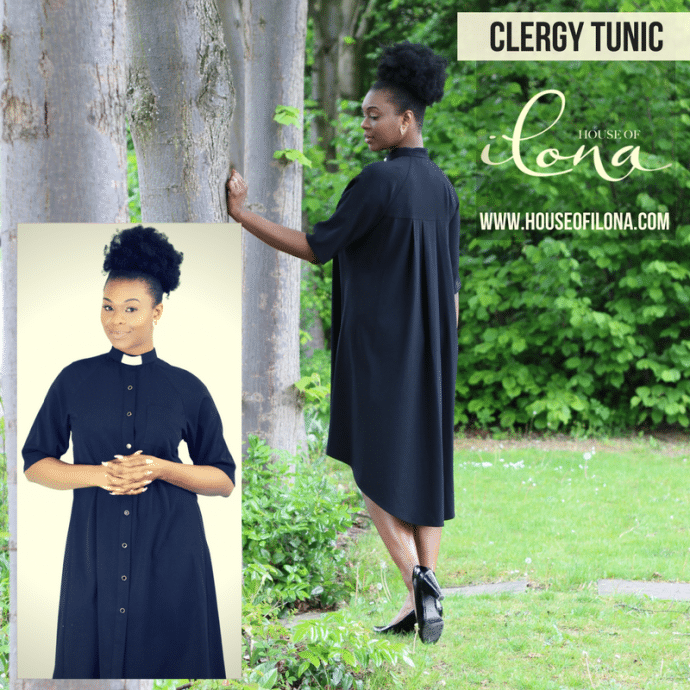 This entry was posted in Blog and tagged @houseofilona, How would you wear your Clergy Tunic?.